For comfort and ease of use, the S25U series of bikes features an ergonomically designed seat with gas assisted adjustment which will keep your exercisers working-out at your fitness facility. Designed with a new and simple seat adjustment, the powerful performance will give you a totally new experience. The STEX S Series is a line of premium level fitness equipment offering a stunning eye catching design, and some of the most advanced technological elements. Designed for rigorous daily use in a busy fitness facility, the highly regarded equipment from the STEX cardio line offers the exerciser an easy and convenient user oriented interface environment, along with enhanced entertainment functions that maximize the enjoyment the workout provides. Ergonomic Saddle Adjustment System The first of its kind in Korea, the saddle adjustment system uses a gas cylinder (standing) and a sliding rack saddle adjustment system with narrow intervals (sitting), which provide comfortable exercise adjusted to the physical conditions of the user. Buy Stex S25UX Upright Bike online. 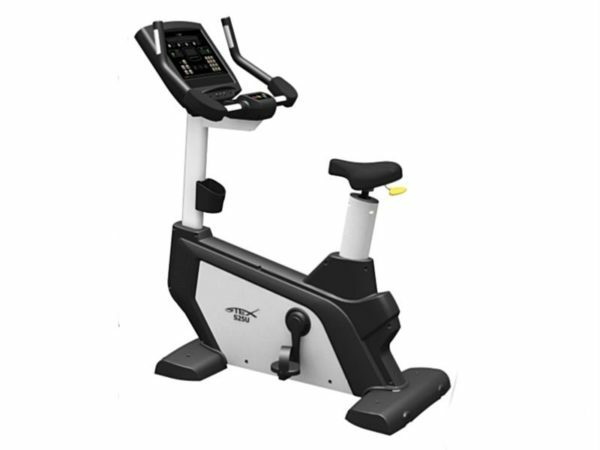 If you are interested in the Stex S25UX Upright Bike for sale, feel free to enquire above.